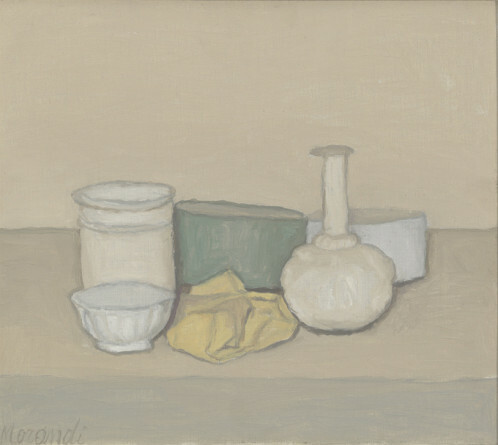 With its new Giorgio Morandi exhibition, David Zwirner Gallery honors the man of unique and poetic sill lives. The exhibitions shows paintings from the 1940s to the 1960s, a timeline heavy with history for the Italian painter. 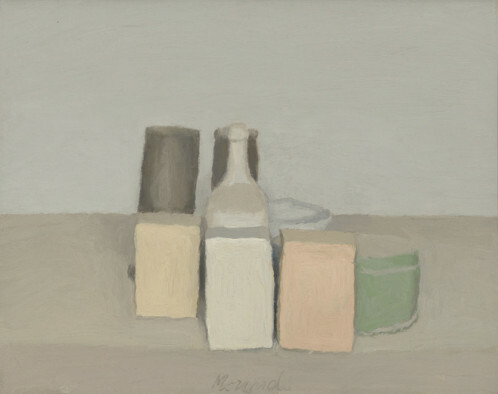 Morandi is one of the most introverted and mysterious artist of the 20th century. His quiet life is reflected in his calm depictions. He belongs to no specific movement yet his oeuvre is recognizable at first glance. In line with Cézanne he defines formal monumentality and dense colors through his intimate art. His still lives constitutes the essence of his corpus. Ordered objects, casts, funnels are all depicted at the light of his atelier with very subtle and distinctive tones. His compositions are simple yet, they lead to a new understanding of the shapes and spaces they encounter and surrender. Leaving by the adage that ’Nothing is more abstract than reality, Morandi’s output closely embraces sculptural forms from minimalist design. The David Zwirner exhibition exposes the many facets of the contemporary still life expert who inspires through his regularly and profundity.